In 1977, Gil Mitchell formed the Brass of Peace in order to create a more enriched musical experience for his talented trumpet students. In 1990, Gil Mitchell passed the baton to Sylvia Alimena, hornist with the National Symphony Orchestra. 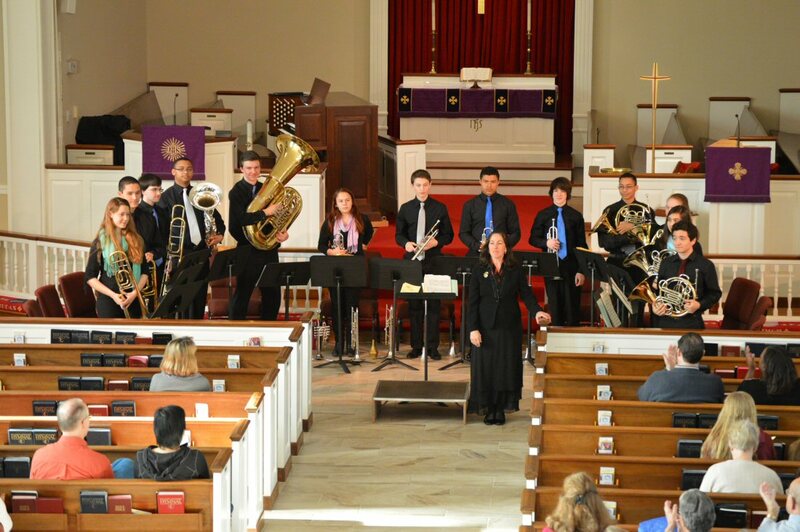 Since that time, Brass of Peace performs regularly on its own concert series at Peace Lutheran Church in Alexandria, Virginia as well as being regularly featured guest artists on concert series throughout the Washington area. 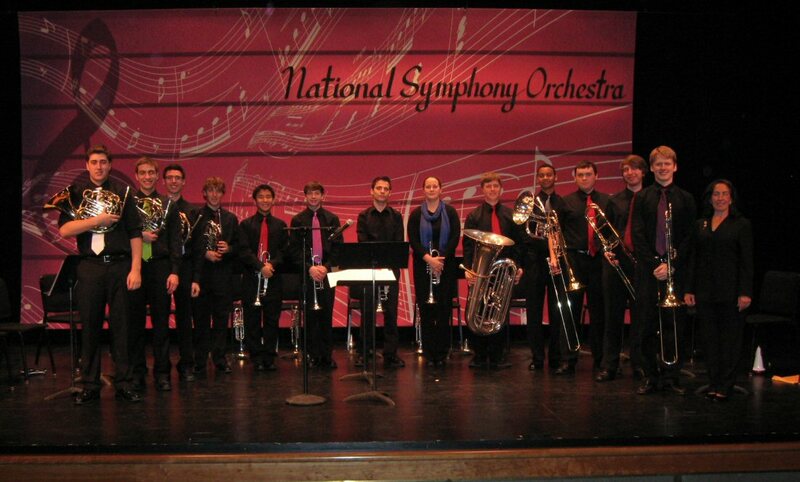 Brass of Peace has performed at Carnegie Hall, the Kennedy Center Concert Hall, Millennium Stage and the Family Theater. It has also been featured on many of the concert series in the Washington Metropolitan area including the Church of the Epiphany, St. Andrew’s Concert Series, Holy Cross of Reston Concert Series, Holy Trinity of Falls Church Concert Series and Music for Autism. 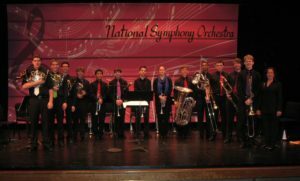 Many alumni have gone on to conservatories such as the Curtis Institute of Music, Eastman School of Music, New England Conservatory, The Juilliard School, Indiana University, MIT, Cleveland Institute of Music, Northwestern University, Rice University, University of Michigan and other fine schools. 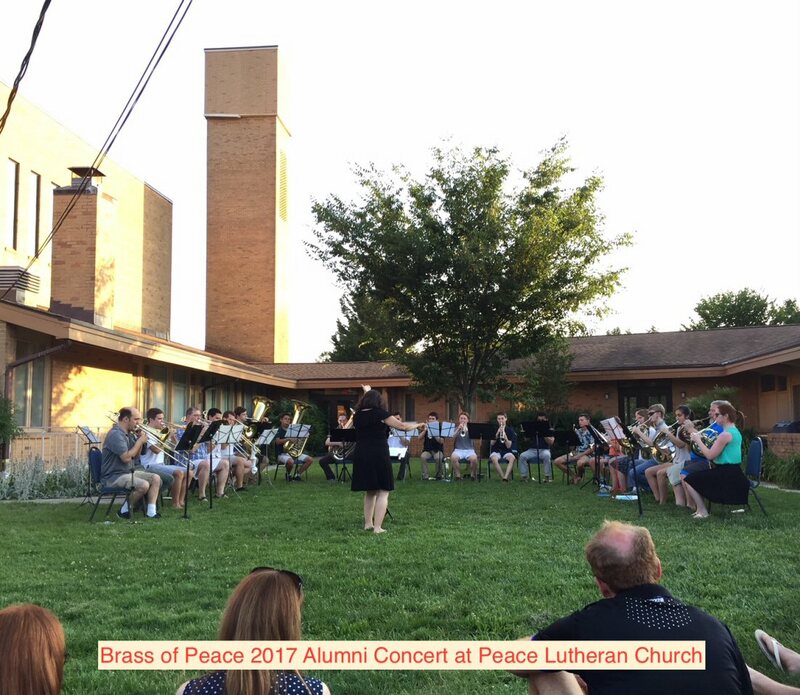 Many graduates of Brass of Peace have become employed in symphony orchestras, great brass ensembles, service bands throughout the world, including the Philadelphia Orchestra, St. Louis Symphony, the Pittsburgh Symphony, the Oregon Symphony, the San Francisco Symphony and the Atlanta Symphony Orchestra, the Singapore Symphony, The President’s Own Marine Band, Pershing’s Own United States Army Band, The United States Air Force Band, The United States Navy Band, Burning River Brass, Rodney Marsalis Big Brass Band, C-Street Brass and many other ensembles throughout the world. 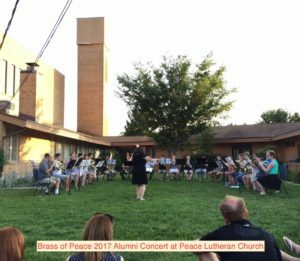 The second Sunday of June has become the traditional date for the Annual Outdoor Concert of Brass of Peace and Alumni at Peace Lutheran Church.